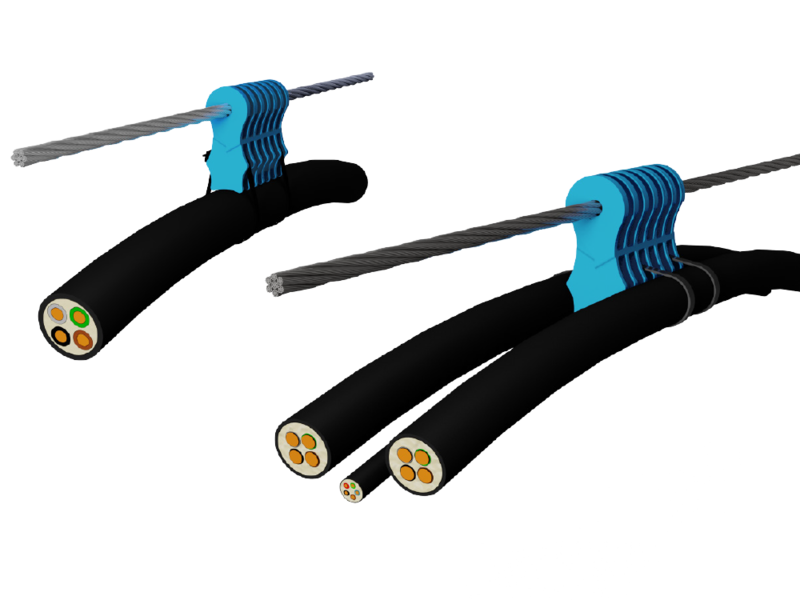 Designed to suspend one, two or three electrical cables of any size or sizes and/or a mooring cable of any size between 4 and 10mm diameter beneath a Type A, B or C Cable Float.Can be installed and replaced without disconnecting cables. 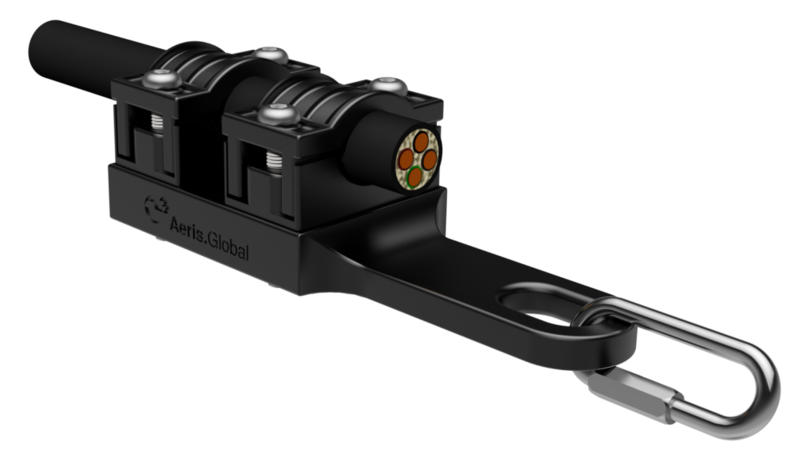 Designed to suspend one, two or three electrical cables of any size, or sizes, beneath a mooring cable of any size between 4 and 8mm diameter whilst allowing independent linear movement. Can be installed and replaced without disconnecting cables. 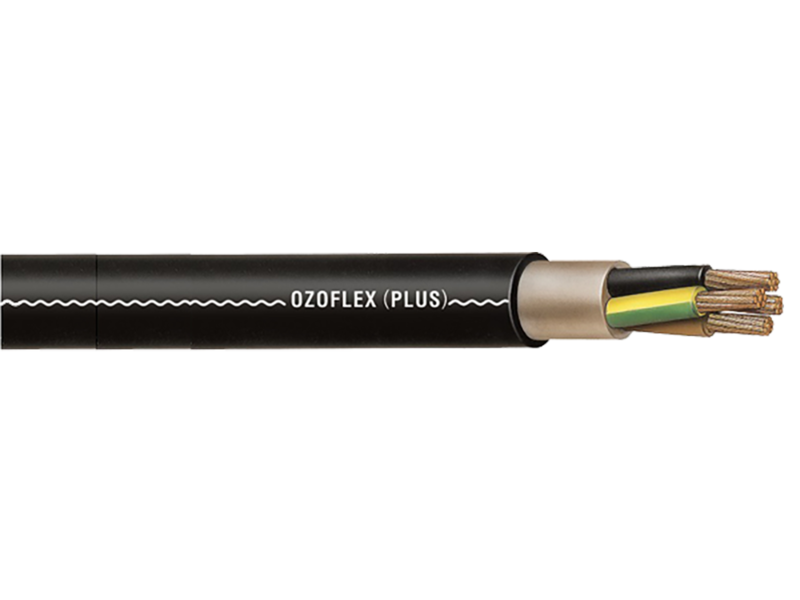 Relieves strain on cables from being transferred to cable connections, glands and junction box. 304L or 316L SS, IP68. Made in Germany. Spherical float moulded in tough, UV-resistant PVC with rigid eye. Lay-flat design for ease of transport. 7/19, right-hand ordinary lay, flexible wire rope, 316 SS 4, 6, 8 and 10mm diameter. 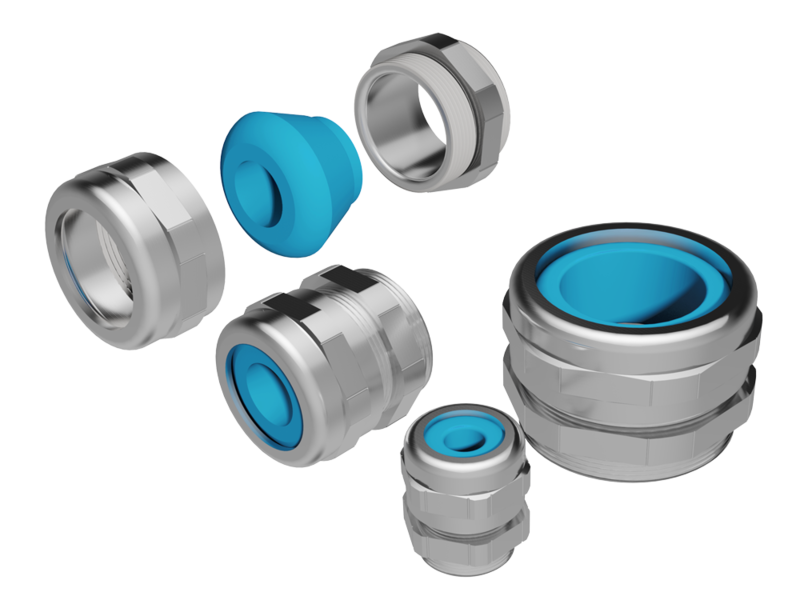 Typically supplied with one “closed” end and one “open” end to allow adjustment on site. 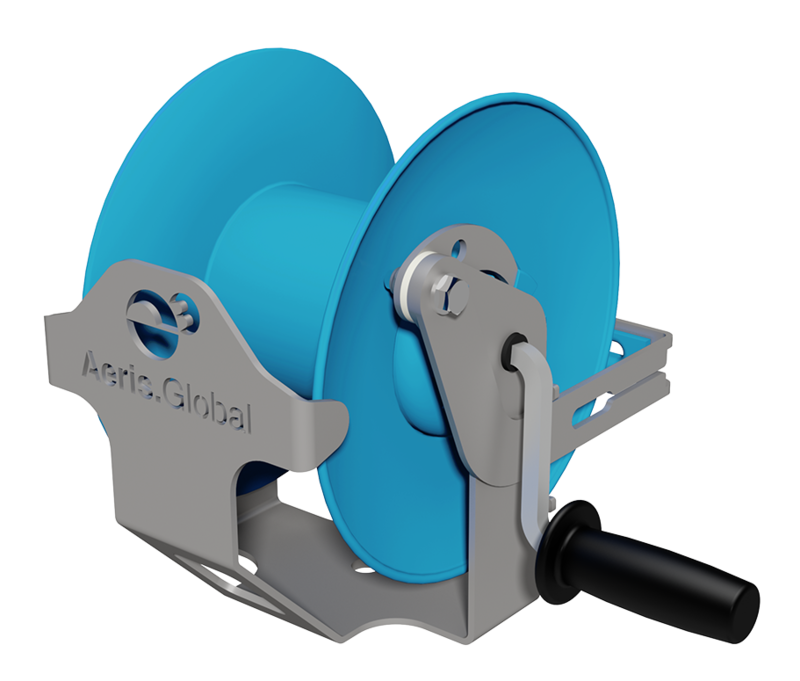 Designed to manage the surplus cable required when floating aerators or mixers are moved from their normal operating position to a maintenance position such as adjacent a jetty or the purpose-designed otterdock – Safe Access Docking Platform. 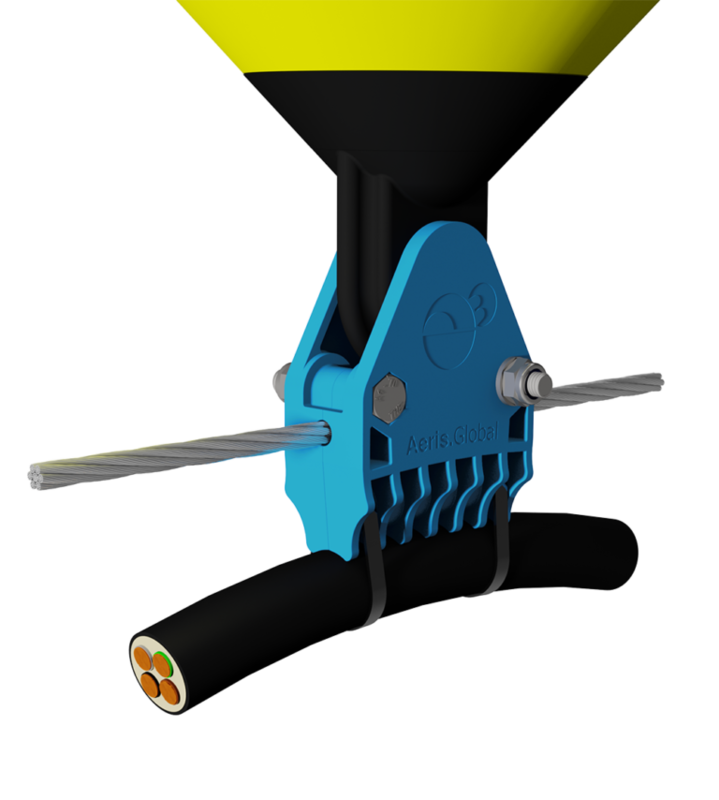 The spool is designed to safely store, dispense and retrieve cable. 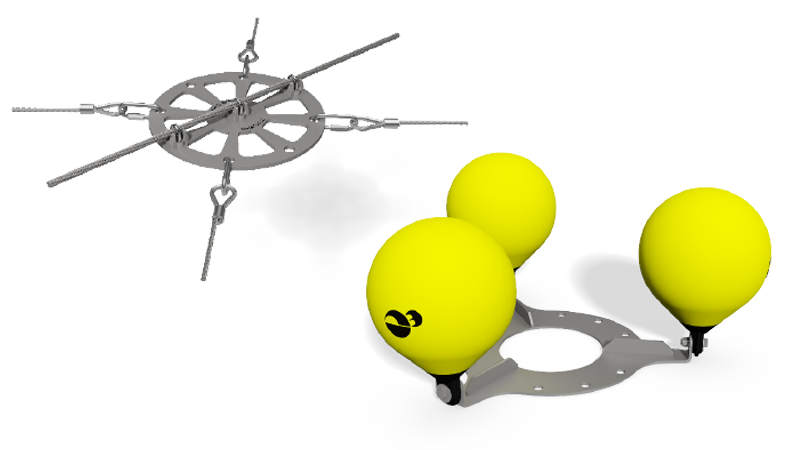 Allows partial release of mooring cables to reposition aerator for access. Upon reconnection aerator is automatically returned to its pre-set, normal operating position. 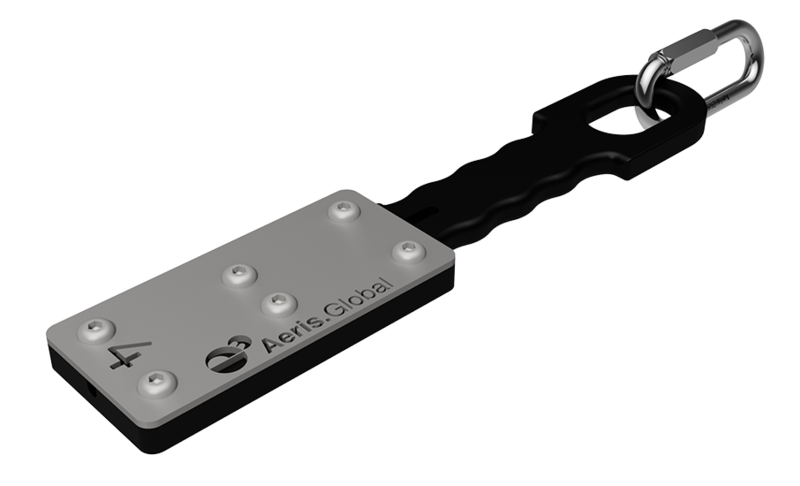 The Quick-release Connector incorporates an easily adjustable rope clamp and a comfortable hand grip. 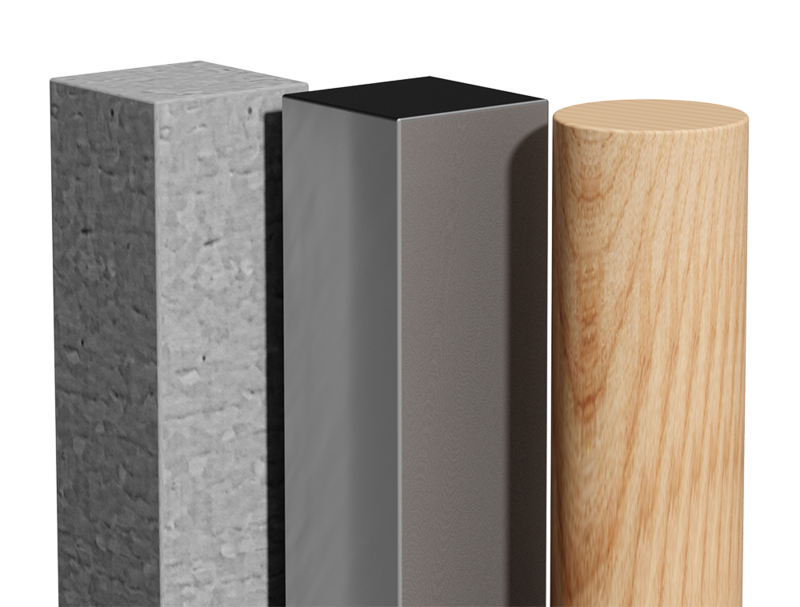 Designed to be used in conjunction with cable management spools. As water level changes, so too must the length of the mooring cable. 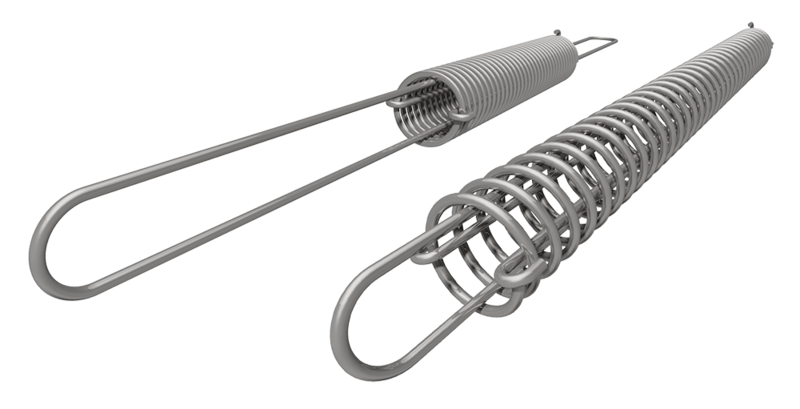 The is achieved by using a purpose-designed mooring spring, which compresses when in tension.